Wrapping your ribs are key if you want to lock in all of the moisture and flavor! Double wrap each rack of ribs securely and enjoy some ribs in no time. 2. In a small bowl mix the rub ingredients. 3. 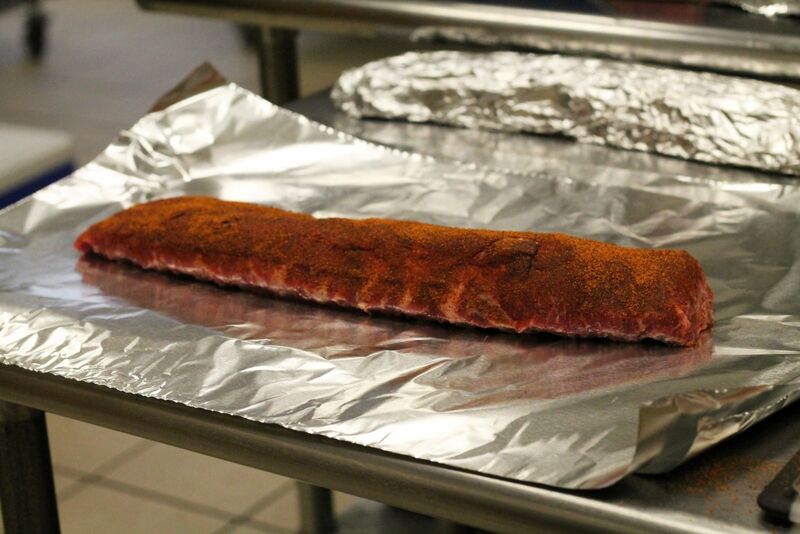 Remove the membrane from the back of each rack of ribs. Cut each rack crosswise in the middle to create two smaller racks. 4. Season each half rack evenly with the rub. 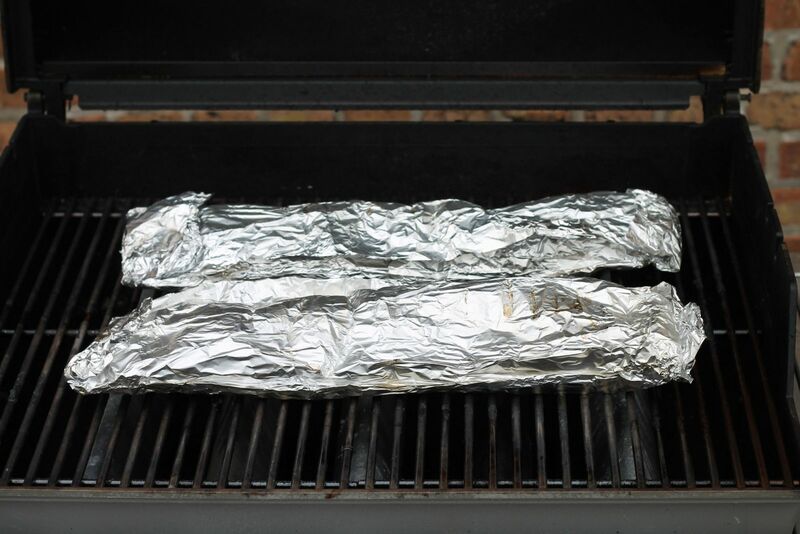 Using eight 18-by-24-inch sheets of heavy-duty aluminum foil, double wrap each half rack in its own packet. 5. Brush the cooking grates clean. Place the ribs on the grill over direct medium heat and cook for 1 hour, with the lid closed, occasionally turning the packets over for even cooking, making sure not to pierce the foil. 6. Remove the packets from the grill and let rest for about 10 minutes. Carefully open the foil packets, remove the ribs, and discard the rendered fat and foil. 7. Drain and add the wood chips directly onto burning coals or to the smoker box of a gas grill, following manufacturer’s instructions. When the wood begins to smoke, return the ribs to the grill, bone side down. Grill over direct medium heat, with the lid closed as much as possible, until they are sizzling and lightly charred, 10 to 12 minutes, turning and basting once or twice with the sauce. Remove from the grill and let rest for about 5 minutes. 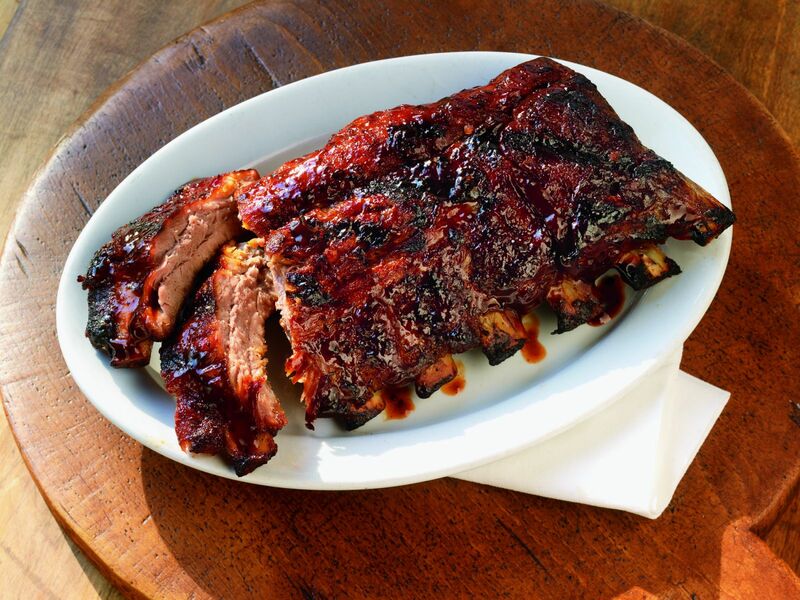 Cut into individual ribs and serve warm with any remaining sauce.